One quart could cost 10% of a worker's salary. 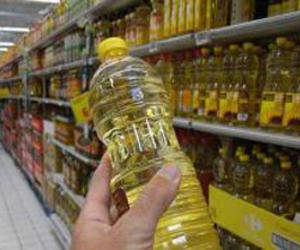 Cooking oil became more expensive on Saturday, the Agence France-Presse has learned. A tour by AFP of state-run markets in Havana revealed that the price of one liter (almost one quart) of soy oil rose from US$1.10 to $1.15, a 5% increase. One liter of Cuban-made sunflower-seed oil rose from $2.15 to $2.40 (up 11.6%), and one liter of imported oil went from $2.40 to $2.60 (up 8.3%). That means that as much as 10 percent of a Cuban worker's average monthly wage – $20 – will go into buying cooking oil. Using their ration cards, Cubans can buy one quarter-liter (8.5 ounces, or half a pint) of oil per month at subsidized prices. But half a pint is not usually sufficient for one month's cooking in most Cuban homes, where fried foods are a staple of the diet. No official announcement of the price increase had been issued as of Saturday night.